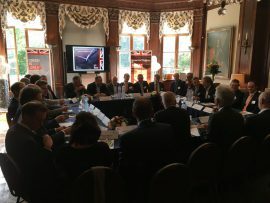 The first Anglo-Dutch Offshore Wind Roundtable Discussion was held on 20 September at the British Ambassador’s Residence in The Hague. 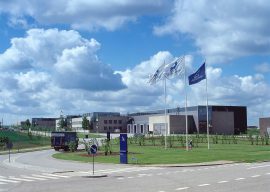 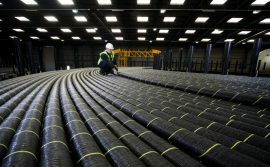 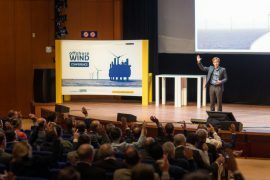 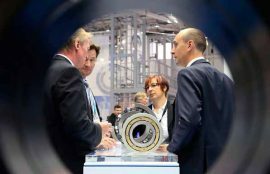 The event saw key organisations and major offshore wind players come together to discuss several topics that have a great influence on the installed capacity as well as the project pipeline of future development of offshore wind in both countries. 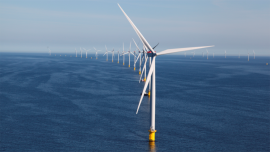 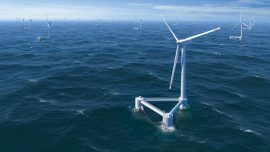 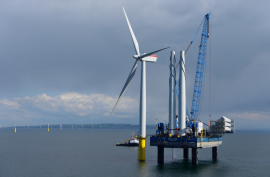 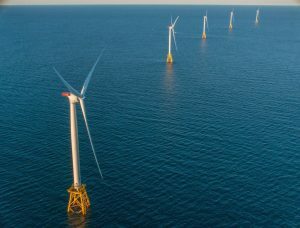 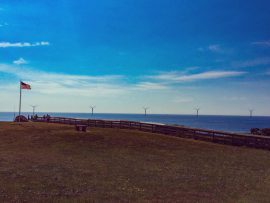 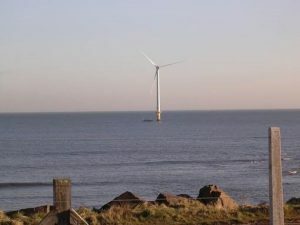 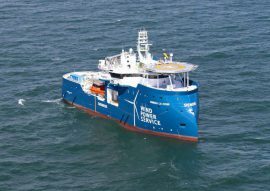 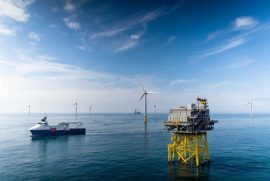 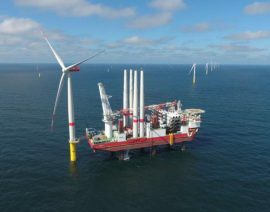 DONG Energy has completed the decommissioning of the world’s first offshore wind farm, the 4.95MW Vindeby built in the Danish Baltic Sea near the island of Lolland in 1991. 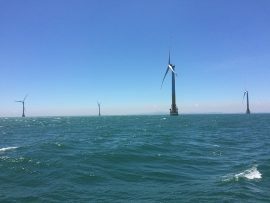 Fujian Zhongmin Offshore Wind Power Co. has issued a new tender call for the delivery of 24 wind turbines with a capacity of no less than 5MW for the second phase of the Putian Pinghai Bay (Fujian Putian City Flat Bay) offshore wind project. 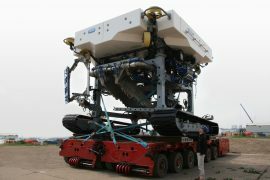 Soil Machine Dynamics Ltd (SMD) has signed a contract with Van Oord for the manufacture and delivery of a QTrencher 1600. 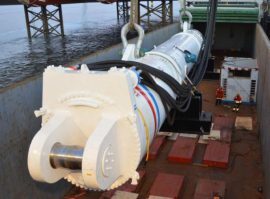 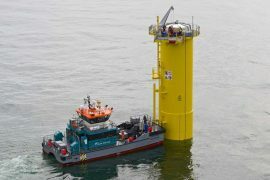 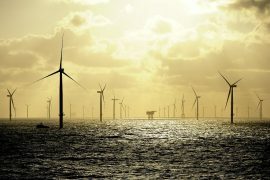 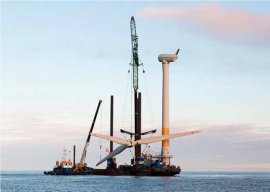 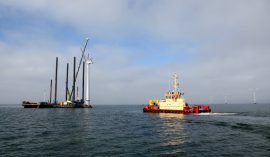 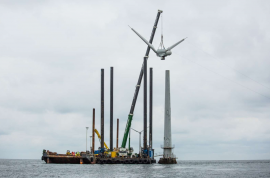 DONG Energy has started dismantling the world’s first offshore wind farm, the 4.95MW Vindeby located in the Danish Baltic Sea near the island of Lolland. 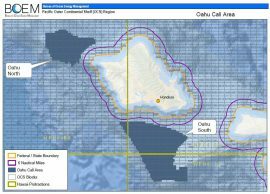 BOEM: Who's Interested in Building OWFs in Hawaii?